Lemon Pudding 1 Large Lemon grate the rind, take out all the pips, add the juice and a 1/4 lb of Sugar, 2 oz of clarified butter, when these are all well Mixed and quite cold, add 4 Eggs, well beaten put a puff crust round your dish, bake it in a quick oven. 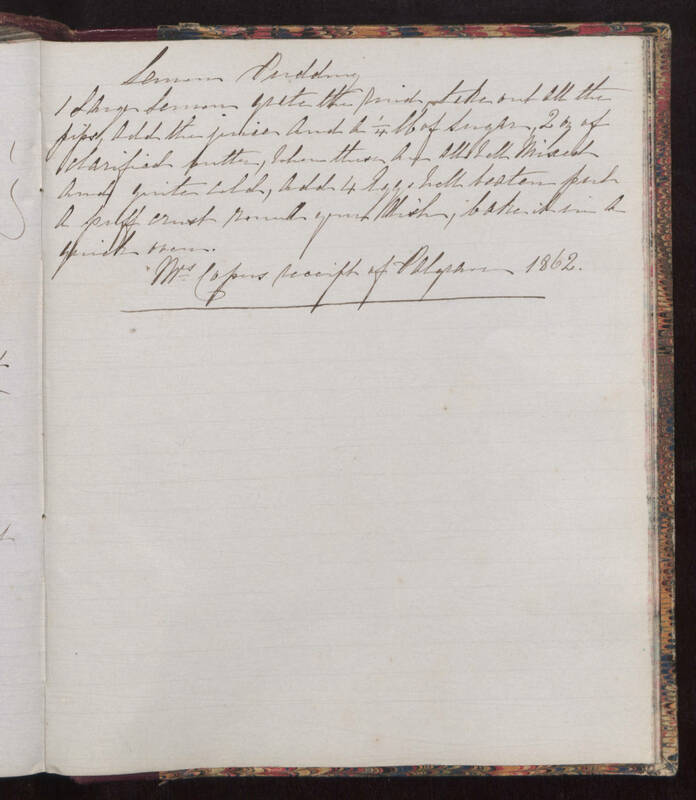 Mrs Copers receipt of [Palgrave?] 1862.